We’re glad to bring you another tournament created by the West Puget Sound Men’s Club, a club that uses MyScorecard to help make their rounds more enjoyable and fun. We appreciate their sharing their format with us. 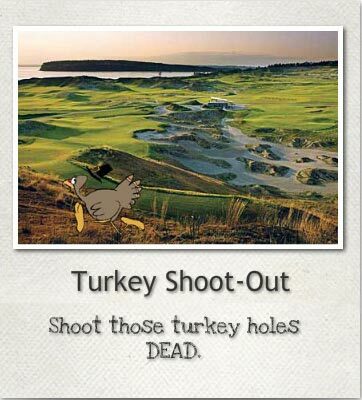 In the turkey shoot out, each player will be allowed to “shoot” FOUR turkey holes as they occur on the course. Dead turkeys are replaced by a par score. Fire your shotgun shells early or save them for the end. You choose (some years the club plays that anything hire than a triple-bogey necessitates the use of a shotgun shell). 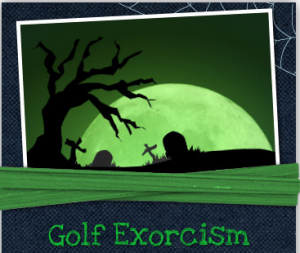 If you are interested in organizing a club tournament this Halloween, here is an interesting format used by the West Puget Sound Men’s Club, a club that uses MyScorecard to help make their rounds more enjoyable and fun. We appreciate their sharing their annual tournament with us. 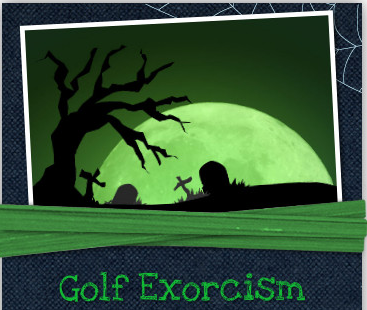 1) Based on your handicap (refer to chart below) you will be allowed to exorcise a specified number of demon holes before the round. Just declare the hole in advance and write in a par for each. 2) After the round you will be allowed to subtract a specific number of strokes for your handicap. So you say you’re not afraid of ghosts?